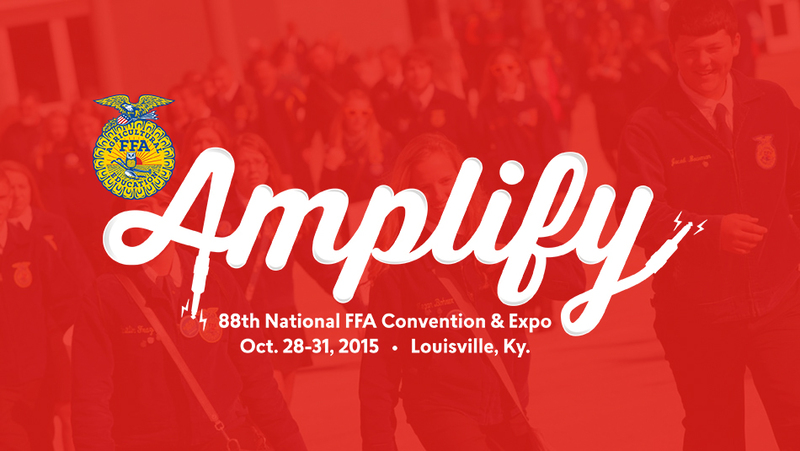 The annual national convention and expo, which will take place in Louisville, Ky., in 2015, hosts more than 64,000 attendees from across the country. The event is estimated to have an economic impact of $36.2 million for Indianapolis during 2016. The national convention and expo will utilize downtown venues, including Bankers Life Fieldhouse, Lucas Oil Stadium, the Indiana Convention Center, the Indiana State Fairgrounds and eight event hotels. “Indianapolis is excited to welcome back the National FFA Convention & Expo,” said Mayor Greg Ballard. “Not only does this commitment create an estimated $36 million in annual economic activity for our residents, but FFA is a model conference dedicated to volunteerism and community service that Indianapolis is privileged to host.” The National FFA Convention took place in Kansas City, Mo., from 1928-1998. Louisville then hosted the event from 1999 to 2005, with Indianapolis being the host city from 2006-2012. In 2009, the organization announced the national convention and expo would rotate every three years between Indianapolis and Louisville, with Louisville hosting the event 2013-2015 and Indianapolis hosting the event 2016-2018. As the membership of the organization has grown so has the attendance of the national convention and expo. Following the 87th National FFA Convention & Expo, the board of the National FFA Organization reviewed the two cities and made the decision to move the national convention and expo to Indianapolis for 2016-2024. “Visit Indy, the City of Indianapolis, and the State of Indiana have an outstanding partnership with the National FFA Organization,” said Leonard Hoops, president and CEO of Visit Indy. “We look forward to delivering a great experience for FFA student members, advisors and families for many years to come.” The National FFA Organization provides leadership, personal growth and career success training through agricultural education to 610,240 student members who belong to one of 7,665 local FFA chapters throughout the U.S., Puerto Rico and the Virgin Islands. About National FFA Organization The National FFA Organization is a national youth organization of 610,240 student members as part of 7,665 local FFA chapters in all 50 states, Puerto Rico and the Virgin Islands. The FFA mission is to make a positive difference in the lives of students by developing their potential for premier leadership, personal growth and career success through agricultural education. The National FFA Organization operates under a federal charter granted by the 81st United States Congress and it is an integral part of public instruction in agriculture. The U.S. Department of Education provides leadership and helps set direction for FFA as a service to state and local agricultural education programs. For more, visit the National FFA Organization online atFFA.org, on Facebook, Twitter and the official National FFA Organization blog. The National FFA Foundation builds partnerships with industry, education, government, other foundations and individuals to secure financial resources that recognize FFA member achievements, develop student leaders and support the future of agricultural education. Governed by a 19-member board of trustees comprised of educators, business leaders, individual donors and FFA alumni, the foundation is a separately-registered nonprofit organization. About 82 percent of every dollar received by the foundation supports FFA members and agricultural education opportunities. For more, visit FFA.org/Give. Get RURAL RADIO SiriusXM Channel 147! Enjoy Thanksgiving with a FREE listening event. Don’t forget to snag our special offer for RURAL RADIO listeners. For a limited time, you can get your first five months of SiriusXM all access for only $20. That’s a savings of 73%! Bass Pro Shops free event helps hunters prepare for upcoming seasons. During the Fall Hunting Classic, nationally recognized professional hunters, local pros and outdoorsmen and women will conduct seminars at the stores and answer hunters’ questions. Seminar topics will include: hunting big game near home, camo patterns matter, how to cook venison, and new strategies for fall hunting success. ***(Check local store listings for pros, topics, dates and times). • Aug. 1-3 – Bass Pro Shops Hunting University. Attend free classes taught by top pros. • Aug. 1-6 – Bow/Crossbow Trade-In. Hunters with bows and crossbows that don’t get a lot of action anymore can trade them in at a participating Bass Pro Shops store during Bow/Crossbow Trade-In days. This trade-in event, which is held Aug. 1-6, allows hunters to trade in old bows and crossbows for a coupon worth up to $100 off the purchase price of a new bow or crossbow. The donated bows and crossbows will be given to local nonprofit groups whose mission is to teach children about archery and the outdoors. See a store associate for details on all trade-in offers. • Aug. 7-12 – Binocular and Rangefinder Trade-In. Hunters can trade-in their old binoculars and rangefinders and receive money toward new models at a participating Bass Pro Shops store during Binocular and Rangefinder Trade-In days. This trade-in event, which is held Aug. 7-12, allows hunters to trade in old binoculars and rangefinders for a coupon worth up to $100 off the price of new binoculars or rangefinders. The donated binoculars and rangefinders will be given to local nonprofit groups whose mission is to teach children about the outdoors. See a store associate for details on all trade-in offers. • Aug. 9 – Women’s Hunting Workshop. 3 p.m. Women interested in learning how to hunt or to improve their hunting skills will enjoy a special workshop just for them with tips, resource information and advice. • Aug. 9-10 – Next Generation Weekend. Noon-5 p.m. On Target Challenge! 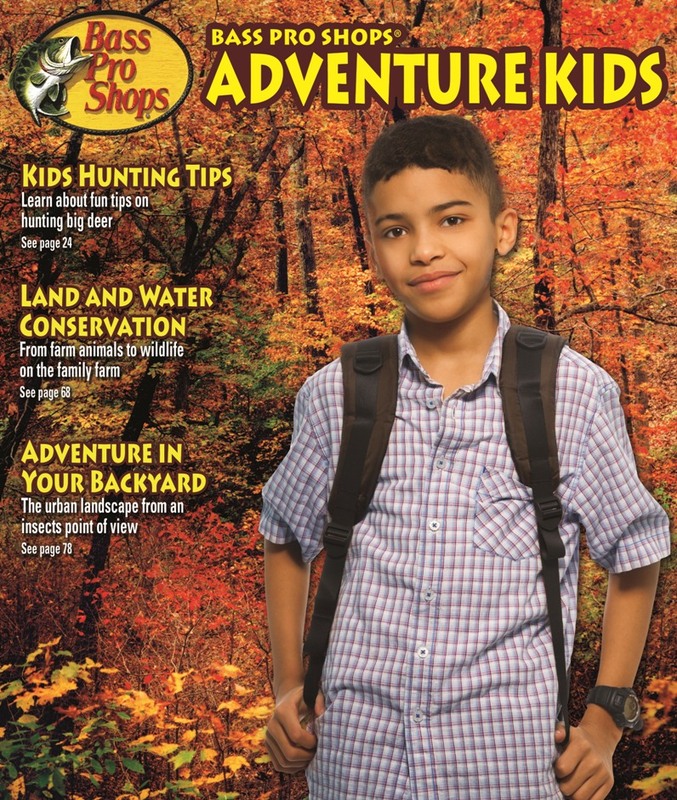 In cooperation with Daisy®, youth can learn 10 safety tips and the basics for safe, fun and accurate BB shooting at the Bass Pro Shops/Daisy BB shooting range. Seminars will be held at 2 p.m. and 4 p.m. each day. Other activities for kids include an archery range from noon to 5 p.m.
• Fun craft coloring projects including a keepsake wooden cutout backpack clip, shaped like an animal such as a fox or a squirrel. Noon to 4 p.m. (while supplies last). • Plus, the first 100 kids to complete a punch card of activities each day will receive a free fox drawstring backpack (while supplies). • Aug. 9-10 – Free Photo Download. Kids can get a free photo download and an On Target certificate for completing the BB shooting range and archery activities. Noon-5 p.m.
• Aug. 13-17 – Scope Trade-In. Need a new scope? Trade in the old one and save on a new one at participating Bass Pro Shops stores during Scope Trade-In days. This trade-in event, which is held Aug. 13-17, allows hunters to trade in old scopes for a coupon worth up to $100 off the price of a new scope. The donated scopes will be given to local nonprofit groups whose mission is to teach children about the outdoors. See a store associate for details on all trade-in offers. • Aug. 15-17* —Hunter Appreciation Weekend. Attend free seminars. Hunters have always been and continue to be the largest contributors to wildlife conservation through the hunting licenses, tags and stamps they buy. Another important source of funding for state wildlife conservation efforts are the excise taxes sportsmen and women pay on firearms, ammunition and archery equipment through the Federal Aid in Wildlife Restoration Program. 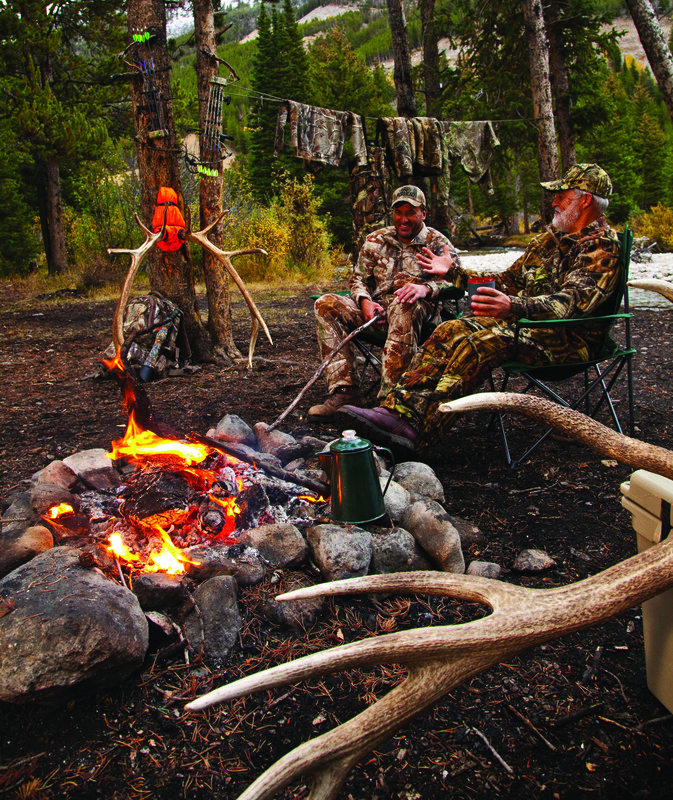 Through that program, sportsmen and women have contributed more than $7 billion to conservation. Those dollars combined with hunting license fees provide more than 75 percent of the funding for most state fish and wildlife agencies. Sportsmen and women contribute nearly $8 million to conservation every day through license fees, stamps, permits, excise taxes, and contributions to conservation groups. The Fall Hunting Classic is just one of many free family events that Bass Pro Shops stores offer throughout the year. The Spring Fishing Classic, “Go Outdoors,” Halloween and Easter events along with special nostalgic events such as “Santa’s Wonderland” and “Family Summer Camp” offer families a way to reconnect with life’s simpler times and create new traditions and memories. For more information about the free Bass Pro Shops Fall Hunting Classic, go to http://www.basspro.com/classic or view a video with general information about the event athttp://www.youtube.com/watch?v=uyipQMMVTCM&feature=youtu.be. * Stores not participating in this event include locations in Miami, Florida; Islamorada, Florida; Branson, Missouri; and the outlet store in Springfield, Missouri. ***Dates may vary. Check local store listings for specific time and dates. Appearances, times and topics are subject to change. (NASHVILLE, TN — JULY 20, 2015) RURAL RADIO on SiriusXM Channel 80 celebrated its two-year anniversary Wednesday at the Nashville offices on Music Row in Nashville, TN and at corporate headquarters in Gretna, NB. As the nations first and only rural and agriculture focused radio station, RURAL RADIO announced its second year of program operations and lined up a day full of events to commemorate the anniversary. RURAL RADIO has experienced steady growth for the past two years with a large audience of farmers and ranchers and reaching more than 55 million listeners weekly. In 2014 RURAL RADIO solidified a major international broadcast partnership with the World Professional Chuckwagon Association (WPCA) Pro Tour. In addition, the programming lineup has expanded to include coverage of PBR and PRCA events, Marty Stuart’s American Odyssey and Marty Stuart’s American Odyssey The Marty Stuart Show, Outside the Barrel with Flint Rasmussen, and Bass Pro Shops Outdoor World. The day’s activities included live reports from the RURAL RADIO studios on MARKET DAY REPORT and Commodity Wrap with anchor Marlin Bohling, as well as other station programming honoring the milestone including Ag PhD, The Horse Show with Rick Lamb, Western Sports Roundup with Steve Kenyon, and WESTERN SPORTS WEEKLY. Additional news packages were produced and aired on the RURAL EVENING NEWS. 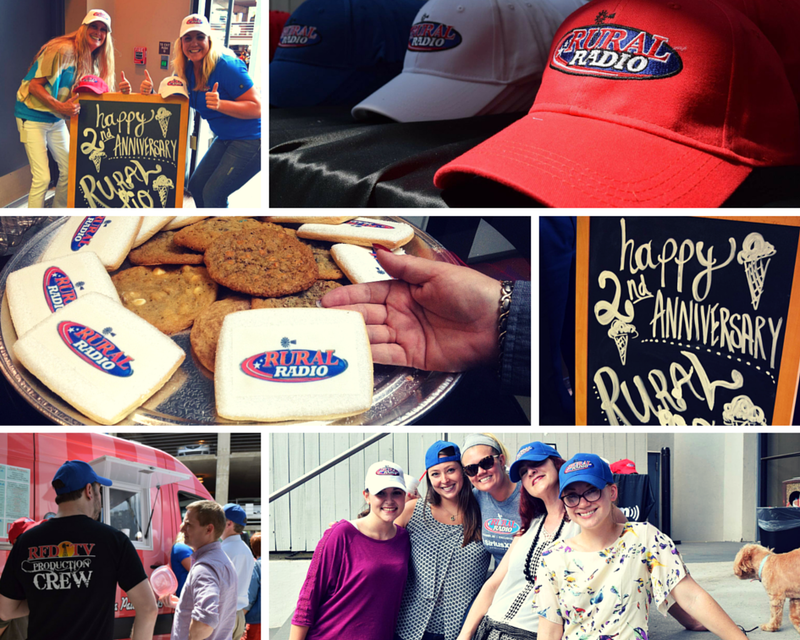 Employees and RURAL RADIO talent celebrated in both offices enjoying cake, food trucks, RURAL RADIO giveaways, and a grand finale commencement speech. Two years ago, RURAL RADIO was launched as a 24/7 channel devoted to providing a wide variety of programming for and about rural American life, the western lifestyle, and agribusiness interests. The original kickoff celebration included a hosted a kick-off party at Indianapolis Motor Speedway in of 2013 and featured an all-day celebration at the finish line with food, music, a classic tractor exhibition, and wrapped up by setting a Guinness World Record pickup parade. The event was sanctioned and qualified against the strict requirements and parade standards specified by the Guinness World Records rules and featured a grand total of 386 pickup trucks circling the track. For information about RURAL RADIO and its programs please go to ruralradio80.com.